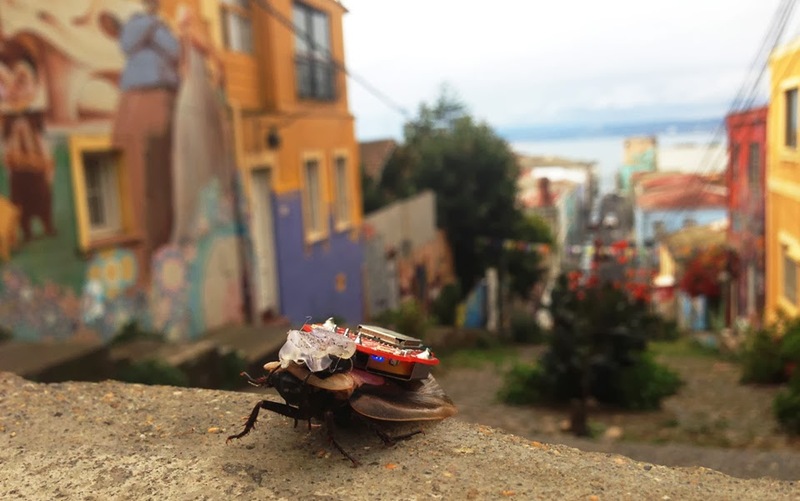 An At-Home Science Kit for Making Cyborg Roaches - Is it Ethical? There’s no bright line, at least not then, between empathising with animals and with people. I’m thankful that, in the end, my caterpillar-caring side prevailed over my ant-frying tendencies, and wonder if the instructive virtue of empathising with insects might outweigh whatever educational gains can be had from steering them with an iPhone. Between the ages of six and eight or so, when I was old enough to run around outside but too young to have cooler things to do, I spent quite a bit of time with insects. Not that I was especially into entomology or even science. Bugs were just something fun and animate to play with: I kept caterpillars, feeding them fresh leaves and cleaning their jars every few days, nourishing them to moth-hood. At the same time, with no sense of contradiction, I spent entire summer vacation mornings killing ants, spraying them with window cleaner, setting them on fire, or coaxing them to fight in bottles. If that sounds sadistic, let me say that it wasn’t done with a cruel spirit, or any memorable pleasure at the ants’ discomfort. It was just something to do, and I don’t think my experience was especially unusual, at least not among boys of my generation. Quite a few guys I’ve known can relate similar stories. Magnifying glasses are a fairly universal feature.